Kickstart Your Liver - For FREE! I've been waiting all summer to dig up these big babies; and now the time has come:) I had two massive dandelion plants in my raised beds that called to me today! 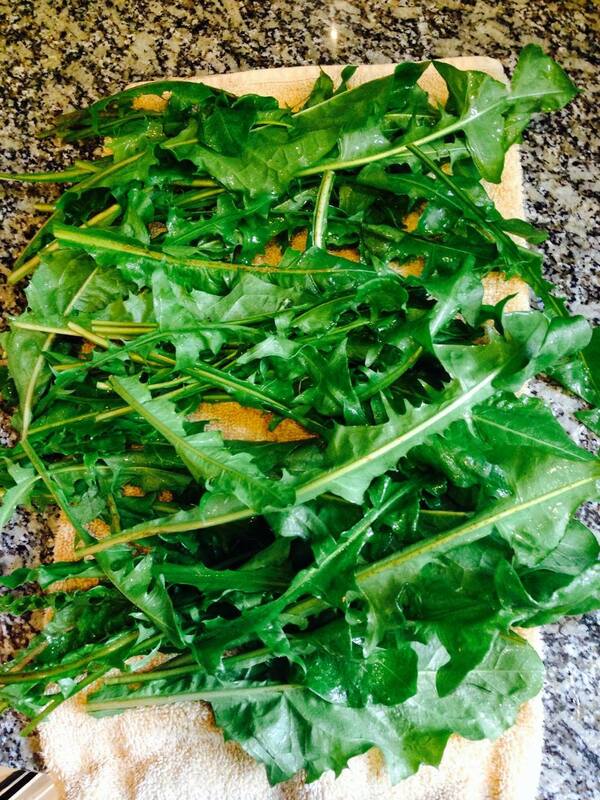 Dandelion leaves are rich in vitamin C, and SO many other vitamins and minerals. They naturally support the liver and gallbladder. And the roots are a fantastic straight up Liver Detoxifier. Win-Win! It's a Liver Health Kick-Starter; And you can do this FOR FREE! As long as you have dandelion roots (big plants preferably) that have not been sprayed and are found away from agriculture. If you have any of these symptoms - you may just need a liver cleanse. hormonal imbalance including infertility, acne, PMS, painful periods, polycystic ovary syndrome etc. anger issues (traditional chines medicine also says - after 5000 years of tried and true healing) that chronic anger necessitates the cleansing of the liver. gallbladder problems - the gallbladder protests when the liver suffers. Support the liver to support the Gallbladder. If the gallbladder has been removed, liver must be supported as it now does ALL the work of the gallbladder. Long-term exposure to pollutants from work, water or environment (so pretty much everybody). First - the dirty work, dig up the roots. A shovel will definitely come in hand because if you pull them without properly digging around the plant, you'll cut yourself short on root. As you can see that I did - in the pictures. Dig deep people! 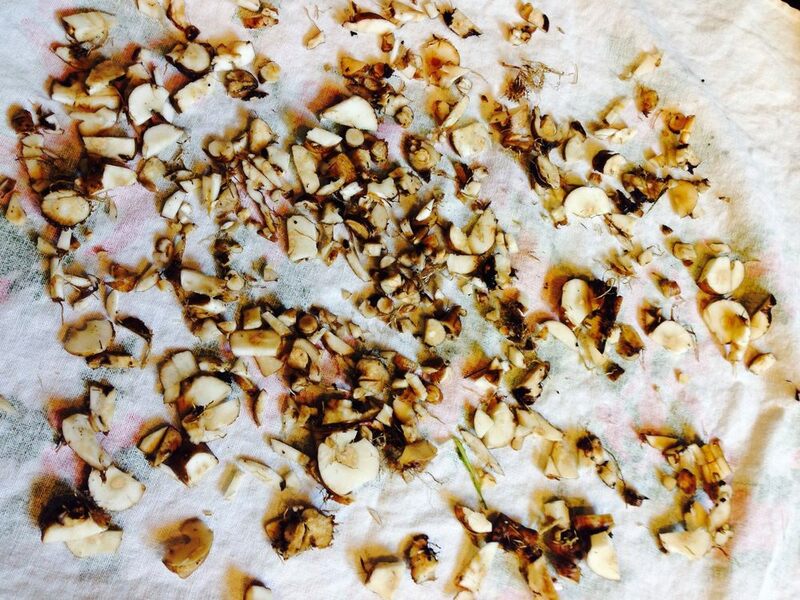 With the roots I cleaned, cut and dried them for herbal tea. Make sure to chop while it's still fresh (same day). If you wait even a day - they will be hard like rocks! The leaves I cleaned and blended in Reverse Osmosis water to make a super charges green drink. And honestly - it's really not that bad. I expected it to be WAY worse tasting. Add a lemon or an orange - or even grapes for flavor. I did mine plain-jane. Blend greens, strain and drink! Ideally on an empty stomach (which I have). Warning - this green drink will make your teeth green! Second Warning: If you've never done any liver cleansing, go slow, drinking 4-5oz of dandelion green drink at a time on an empty stomach and continue to drink plenty of purified water. Make sure you are pooping for any liver cleansing. You don't want to stir up pollutants from the liver and not get rid of them through the bowels. If your chronically constipated, reach out. I do phone consults and I can easily help with that!